Alaska Pulls Out of Mexico City in Just Months! After a spate of cancelled routes this year, now the Alaska Airlines MexicoCity routes have bit the dust too. Many observers have thrown their hands up in the air, wondering why the gave up, but the answer is glaringly obvious. Yes, it’s commercial – but what’s behind the drop? Has everyone already forgotten one of the biggest travel issues of the year? 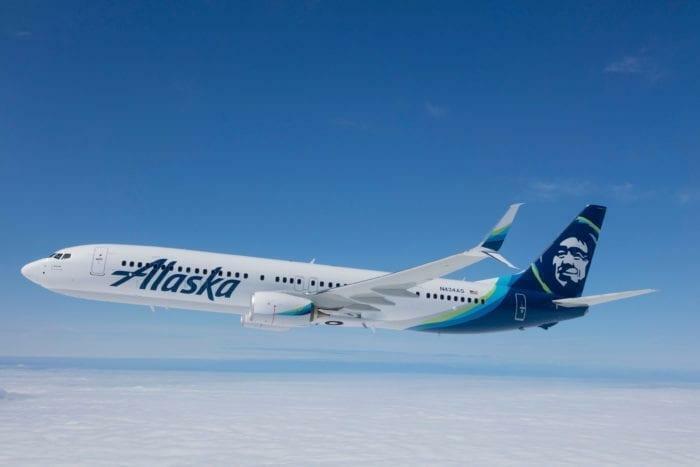 Alaska Airlines has been flying US routes to Mexico for several years and become an unlikely hero for leisure destinations to Cabo, Puerto Vallarta and Cancun. However there was fierce competition to service Mexico City and only last year the US airline secured its slot. It first announced an intention to operate flights to Mexico City from three California gateways — Los Angeles, San Diego, and San Francisco. These later add-ons suggest business was booming and had many confused when Alaska Airlines canceled flights from San Diego and San Francisco to Mexico City from from May 19. That represents six months of service on the San Diego service and nine months on the San Francisco service. Why the cancellation of the Alaska Airlines Mexico City route? As you can see from the offerings, anyone flying in from New York, Florida or from the Midwest would be coming in via a connection, if they chose the Mexico City Alaska Airlines option. This factor does have something to do with the low viability of the route. If a different carrier is offering you a direct route for cheaper, why would you fly Alaska? Firstly on the LAX route, seven different carriers are offering low cost fares. Aeromexico, Delta, Interjet, Alaska, American, United, and Volaris all operate flights at around $100 one-way. It is a buyer’s market right now. Secondly, Alaska Airlines wasn’t able to secure the big money corporate contracts either with companies or the likes of American Express. This meant they would have needed to rely on tourist dollars to stay afloat and this is the real reason they’ve stopped. Earlier this month, I told you about the US travel advisory which had been issued. It essentially told US travelers not to travel to Mexico for fun. Last year saw a 16% rise in homicides in Mexico over all with some states having a 100% rise. This led to a Level 4 travel warning a “Do not Travel” for Cancun and Cozumel. Mexico city was also in the list. American Airlines, Delta and the smaller LLCs have all suffered from this drop in demand, so it’s hardly surprising that Alaska decided to skedaddle. Last in, first out as they say. The airline didn’t have time to build up a loyal customer base on this route before the bad news dropped. Better luck next time.